Just like visitors and locals, Larry the pup loves New York City. He loves Times Square, Central Park, the Empire State Building, and all the other sites and sounds that make NYC the city that never sleeps. 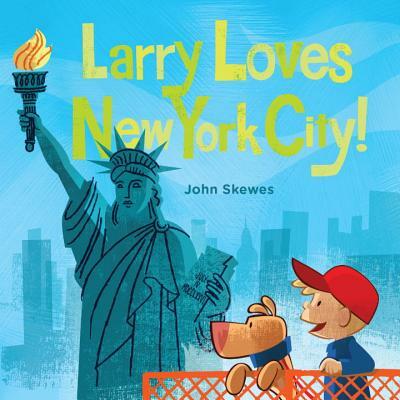 Fans of Larry Gets Lost in New York City will love this board book that introduces young readers to the Big Apple. JOHN SKEWES is a professional illustrator living in Seattle. As the creator and illustrator of the award-winning Larry Gets Lost children’s book series, John has followed Larry from the southern tip of Texas to tiny Nome, Alaska, and has been lost several times himself.